During the mid-fifties several Cradock guys and gals worked part-time at Cradock Pharmacy for Doc Leary as clerks and delivery boys for the pharmacy. A few days ago, Fred Crouch (CHS-59) wrote to me that Doc Leary hired his delivery boys by recruiting from the friends of his current delivery boys. Freddie remembers that the Honeycutt brothers, Armand, (CHS-54) and Sonny (CHS-53) recommended Johnny Butler (CHS-57) and Johnny selected Donnie Whitesell (CHS-57) as his alternate. Freddie says when Butler and Whitesell “retired” (John retired to VMI and Don “retired” to W&M) that they picked Freddie. Freddie said the job was a great part time gig, “real pay, unlimited freedom and a car (an old cantankerous Studebaker) to drive to make deliveries”. 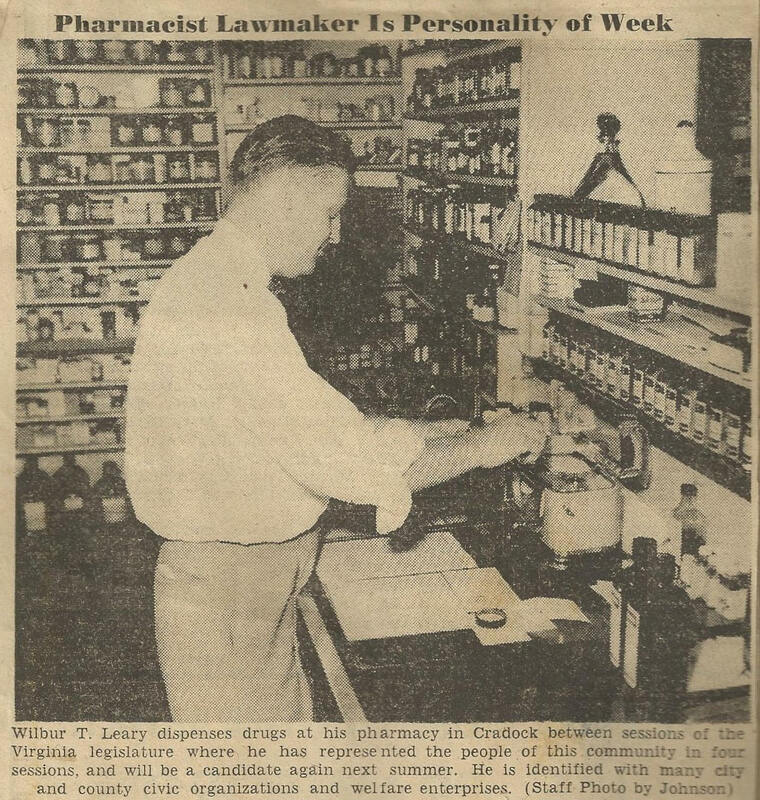 Russell Leary was in charge of the pharmacy for Wilbur Leary and Russell was a generous boss, according to Fred. Doc Leary was the best. Katherine Leary Smith, Doc Leary’s daughter who lives in Cradock with her mother, supplies the two photos attached. Perhaps others have memories about The Cradock Pharmacy to share. Send them to revelerbk@cox.net. 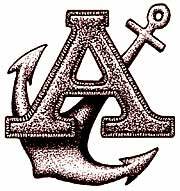 I was going out for football at James Hurst under Pete Peterson and assistant Robert Knaggs, after the physical from that old doctor (Dr. Sidney Tabor: editors note) above Kahler’s. Knaggs said we all had to wear an Athletic Supporter (my first at 5 or 6 yrs old). 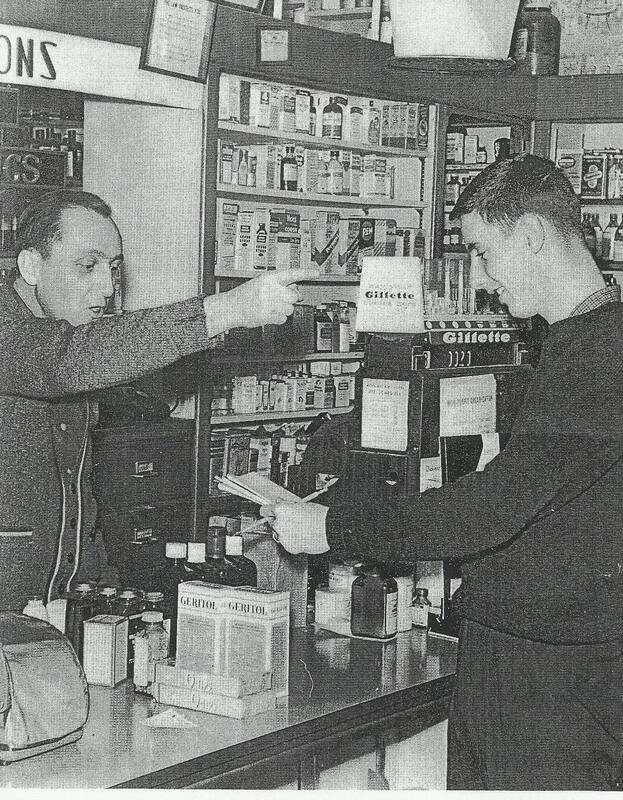 I went to Cradock Pharmacy to purchase the required device (my mother worked at the soda fountain in the front of the store) and I was looking for Russell Leary to make the purchase, but to my chagrin, Girt was the only one there to help me. She asked what I wanted, and I whispered, “Athletic Supporter”, in the lowest of secret tones. Girt insisted for me to repeat my request. Girt, having fun at my embarrassment yelled up to my mother, "Virginia, Freddie wants a JOCK STRAP and then asked me... "What are you putting in it"? Well the end of the story is she gave me a gauze packet that was for post circumcised procedure and I had to go back and do it all again. Life wasn't too fair. Girt was known for looking through all the finished photographs that had been dropped off for development at Cradock Pharmacy, remember this is the 1949-52 private stuff of Cradock residents. To put a halt to that bothersome behavior, my mother had a photograph taken of herself holding a big sign and placed the film in for development. The sign read; "HI GIRT”! Needless to say, when Girt saw it while sneaking a peak at Virginia’s photos she was shocked. Mom says it cured Girt of that piece of nosey behavior. (We have that picture).